Hellenic Association of Furriers (HAF) and NAFA strongly believe to the talent of Greek young designers and initiate actions to project it. In the mid of October 2017, the Designers’ Competition was launched and 36 candidates submitted their 108 proposals under the theme of “Honoring the Greatness of Famous Designers” handed out by professor Vasilis Kardasis. 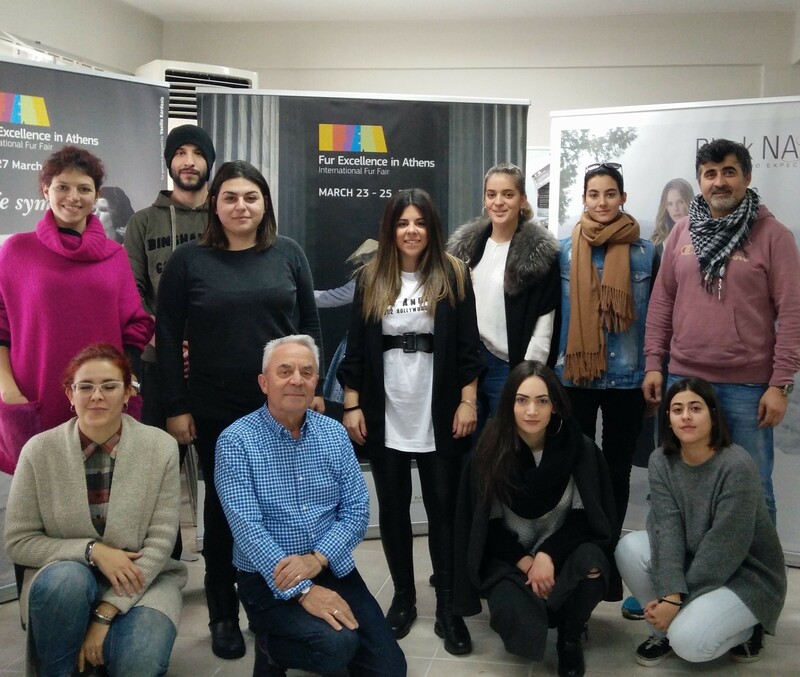 The preliminary phase revealed the 10 finalists who were given the opportunity to participate at the two days “Fur & Pattern” Info Seminar which was organized by HAF and NAFA in Kastoria last December. Now, from 23 to 25 of March, their ideas, having been made into ready-to-wear fur garments by some of the best fur technicians of the Greek Fur Industry, will be exhibited to the public and will be judged by a fur experts’ committee at FEA International Fur Fair – 2018. The winners of the competition will be announced on the last day of the exhibition. The prize for the two winners, offered by NAFA, is an all expenses paid, one week fur workshop at NAFA’s Studio at the North American fur Auction’s House headquarters in Toronto, Canada.